The Sons of the American Revolution (SAR) is a three-tiered, male lineage organization. At the top is the National Society of the Sons of the American Revolution (NSSAR). States have their own SAR organizations and help provide support and resources to the numerous SAR chapters located across their communities. 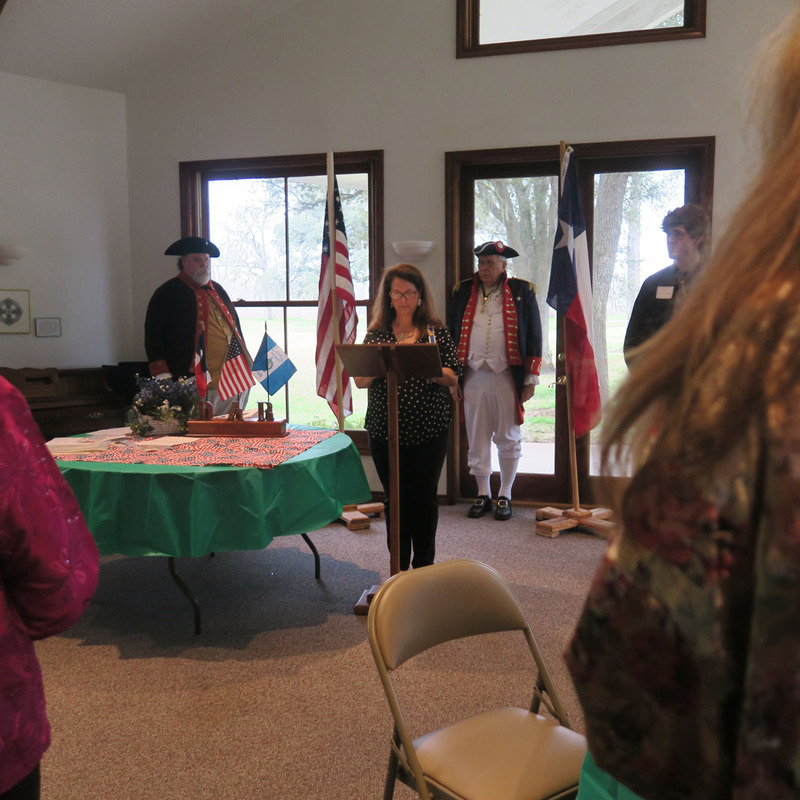 In Texas, our state organization is called the Texas Society of the Sons of the American Revolution (TXSSAR). The TXSSAR serves about 44 SAR chapters across Texas. 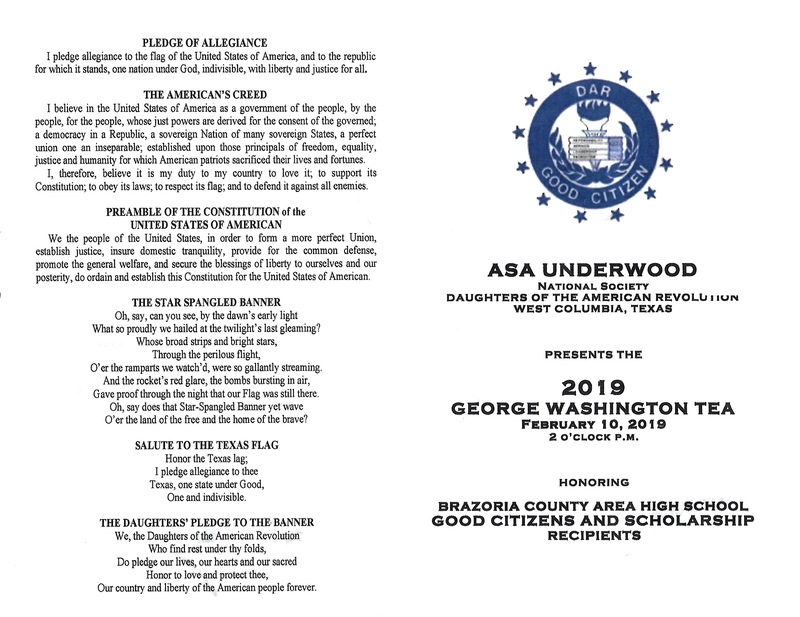 Our chapter is called the Cradle of Texas Chapter and is Chapter #33 of the TSSAR. 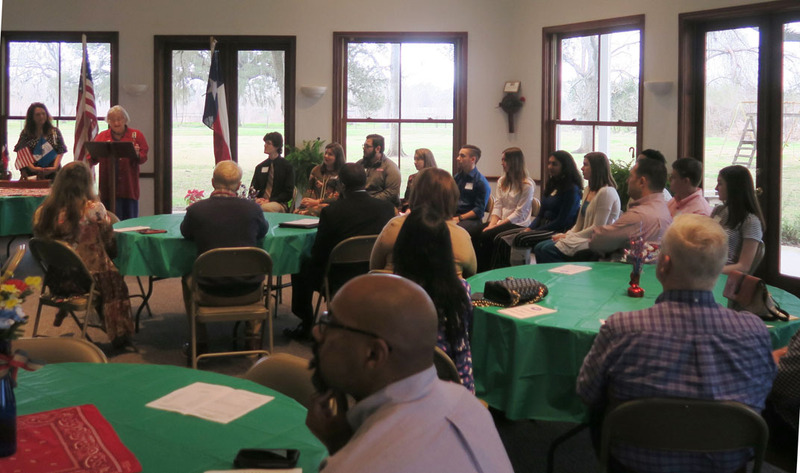 We were chartered in 1983 to serve an area loosely defined by Wharton, Matagorda and Brazoria Counties and presently we have about 73 members. 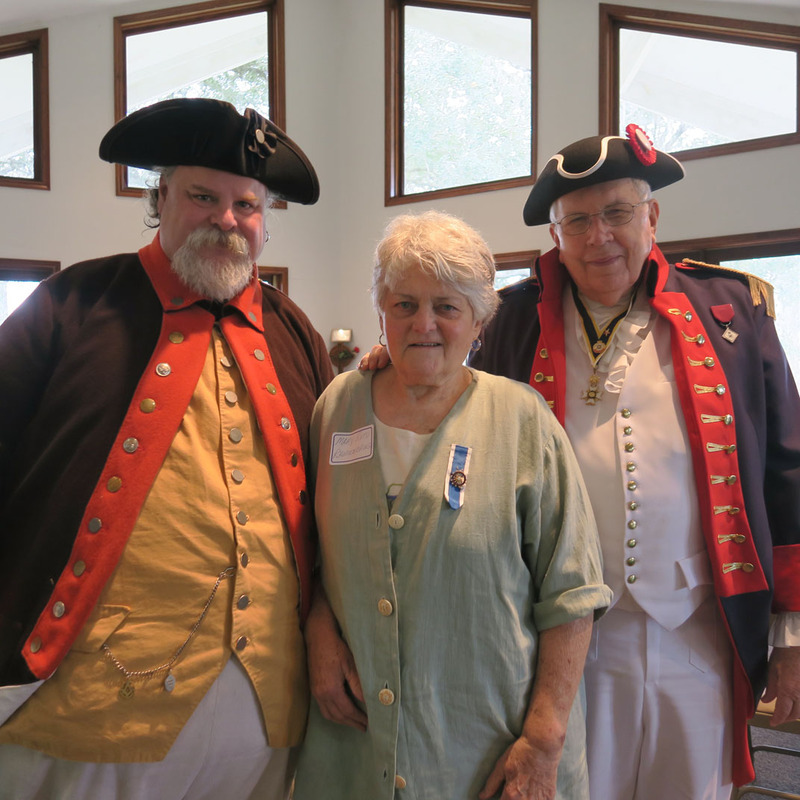 Each of our members has verified that he descends from a patriot ancestor who served the cause for American freedom between 1774 and 1783. Our members are also known as “compatriots” since they are proven to be linked by blood with their patriot ancestors. The Cradle of Texas Chapter #33, Sons of the American Revolution is managed by capable leaders who: plan and conduct our monthly meetings; provide genealogy research support and file applications for prospective members; induct new members upon acceptance of their application by NSSAR; host and/or participate in various patriotic, historic and civic events; provide color guards to support events when requested; and administer a number of community, contests and recognition programs that signify meritorious achievements by students and other deserving individuals in our community. Programs are typically sponsored by the NSSAR or the TSSAR and some, especially contests, may be competitive on the state or national level. 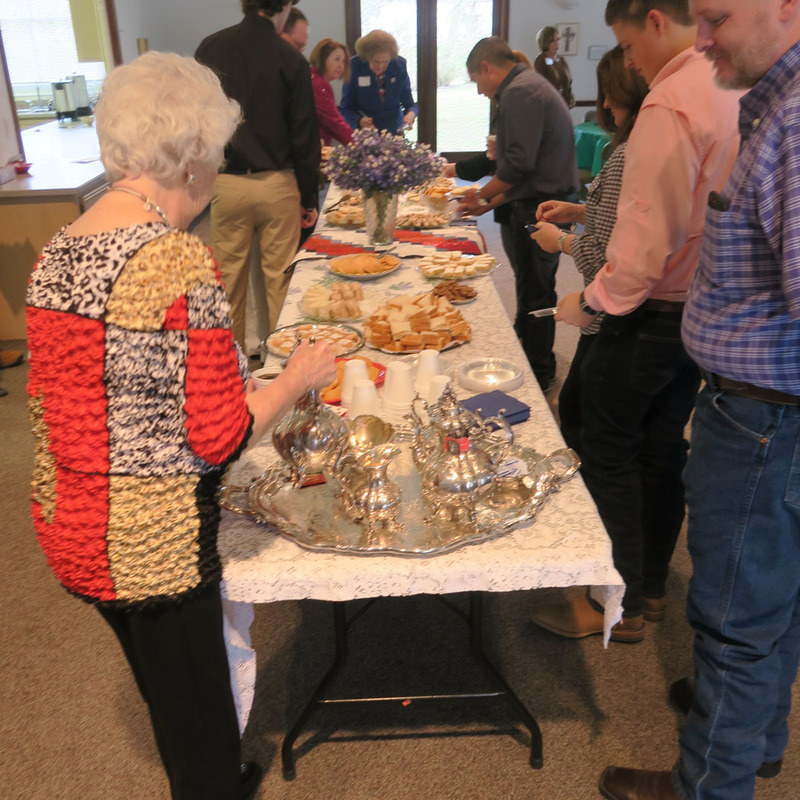 Our meetings are usually 11:30 AM luncheons held on the second Saturday of the month from September through May. Meetings cycle to different locations throughout our three-county region. Almost all meetings feature guest speakers whose topics often address patriotic and historic events of local and national interest. 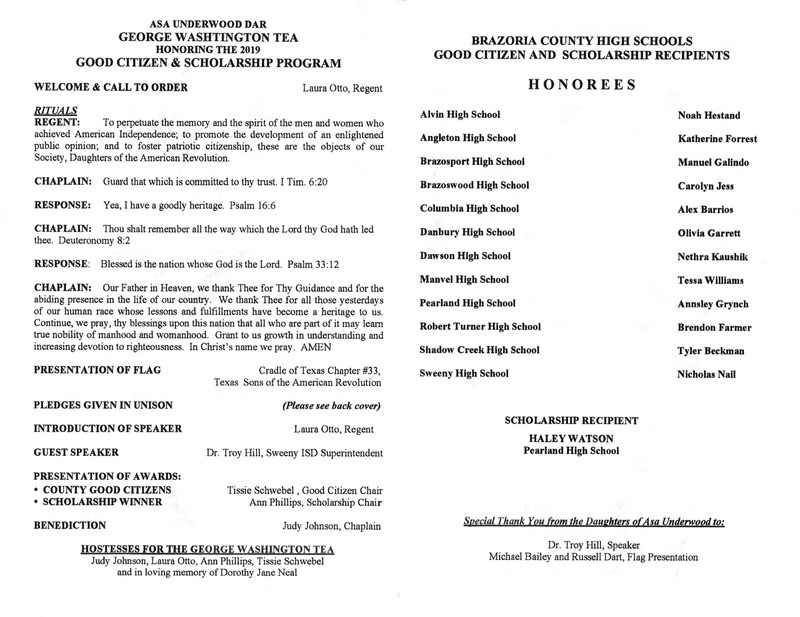 New members are inducted at meetings, and contest winners and award recipients are recognized. There is usually a business segment where leader reports are given and plans to support upcoming events are discussed. Meetings are announced about a week in advance via Newsletters emailed to members and guests. 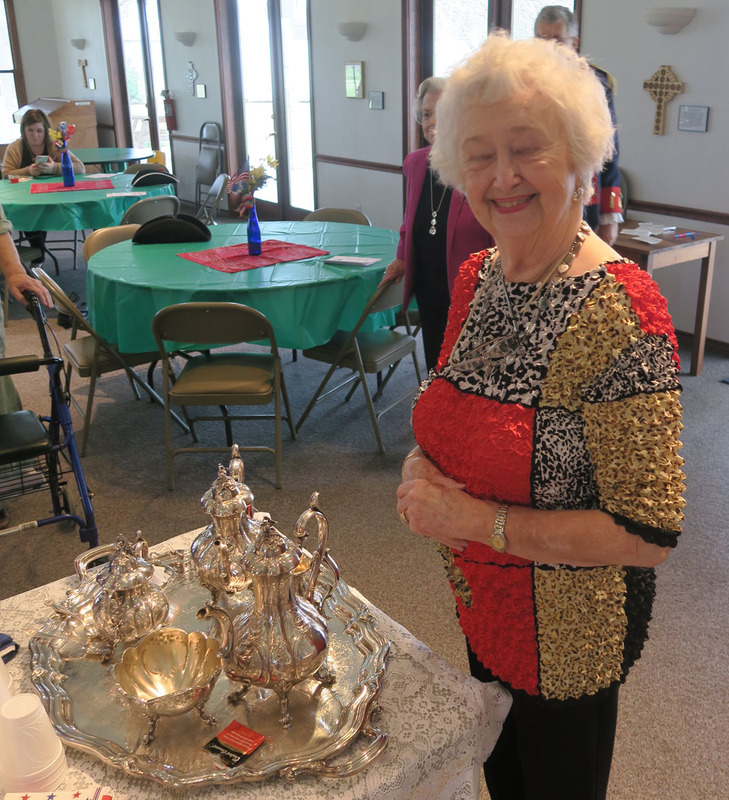 Guests are always welcome at our meetings and are encouraged to attend as this is an excellent way to meet us and learn more about the benefits of our organization, mingle with the members-often your neighbors, and investigate whether you have a patriot ancestor. If you are male and would like further details on how to join the SAR, please click Joining Info. If you need help with building your family tree and tracing back in time to identify your patriot ancestors, visit our Genealogy page. 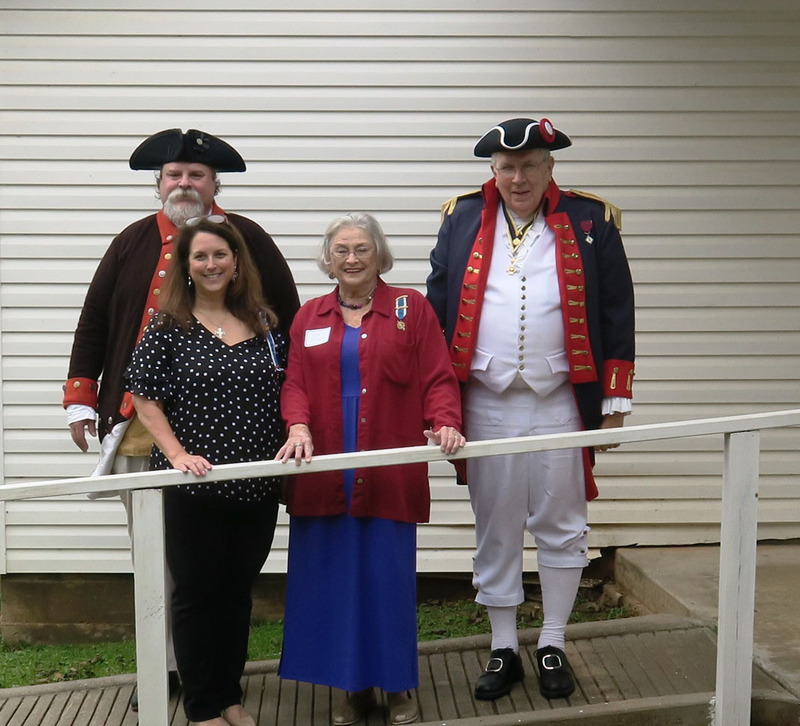 While only men can join the SAR, women who descend from a patriot ancestor can join the Daughters of the American Revolution (DAR). Often there are close relationships between local SAR and DAR chapters where we sometimes share activities. 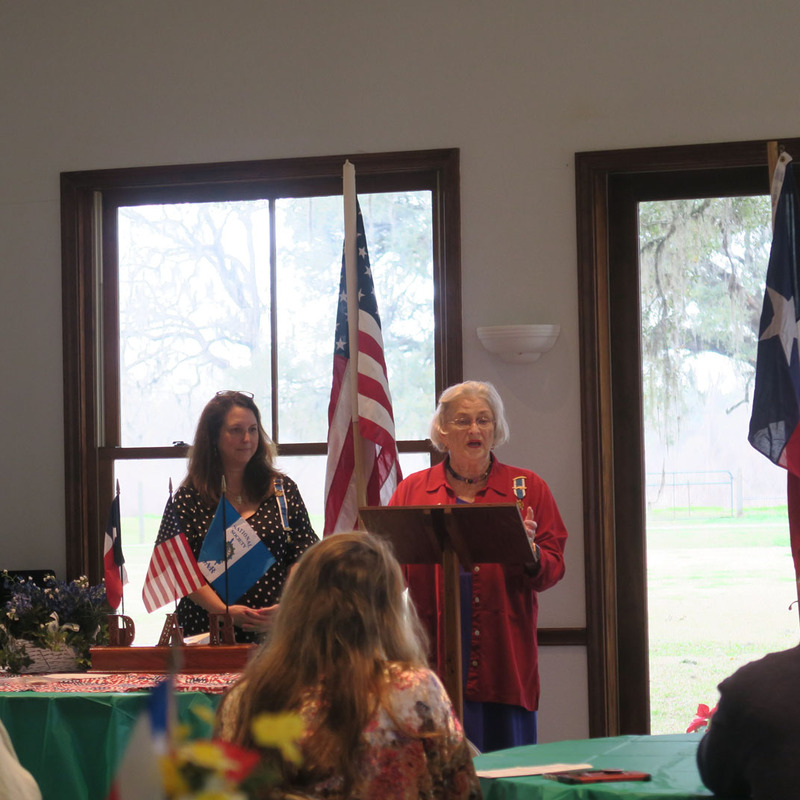 Three DAR chapters with close relationships to our Cradle of Texas Chapter are the Asa Underwood Chapter of DAR, Comfort Wood Chapter of DAR and Mary Rolph Marsh DAR, and women who would like to join the DAR are invited to contact them. Women may also get further information on local DAR chapters and joining requirements by contacting our registrar, Bill Sanders. There is even a way for children to join through the Children of the American Revolution (CAR). For a detailed description of C.A.R. purpose, organization and operation, see Mary Barrow’s PowerPoint presentation. Click here for the script for Mary’s slides. Please contact Registrar Bill Sanders for further information. We welcome your questions and comments. Please “click” on any of our officer’s links or use our Contact Us page to communicate with us.